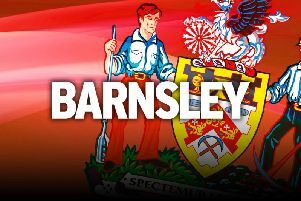 Barnsley might have been hoping for a quiet January transfer window as they plot League One promotion, but their squad has robbed of Brad Potts following his rapid sale to Preston. The Championship club have paid an undisclosed fee, thought to be in excess of £1.5million for the 24-year-old, who has penned a three-and-a-half-year deal at Deepdale. It is a bitter blow for the Reds as they try and join North End in the second tier next season, with Potts being a key player in the first half of the campaign. He has scored seven goals in 24 appearances in all competitions. The deal got over the line early in the transfer window, with 24-year-old agreeing terms and passing a medical in quick time. Chief executive Gauthier Ganaye said: “Brad has been an excellent servant of the club for 18 months and has been a gentleman from the moment he signed. “For that, we wish him nothing but the very best on his move to Preston. “We have made a significant profit on this transfer which brings long-term sustainability to the club and allows us to reinvest short-term in the squad. Potts, who joined the Reds from Blackpool in the summer of 2017, spoke of his excitement at working under Preston boss Alex Neil. He said: “I had a chat with the gaffer when I first got here and he told me what he wanted from me and I am looking forward to hopefully doing that for the team. Stendel will be hoping not to lose any of his other stars, with reported interest from home and abroad in attacker Mamadou Thiam. Another sale was completed on Thursday as the formalities to Tom Bradshaw's permanent move to Millwall were done. The striker joined the London club on loan in August and was always going to make it a permanent transfer. The same has been done for Cauley Woodrow, who is now a full-time Barnsley player after his loan from Fulham was also made permanent. On a busy day at Oakwell, midfielder Callum Styles has returned following a half-season loan spell with League Two Bury.